Let’s start with a visualisation. Close your eyes and imagine a bridge. On one side are a bunch of tigers and the other side lies a cloud forest (hard choice, I know). In a break state, you move from the side with the tigers to the cloud forest. In this way, you leave all the overwhelm behind you and move across to a place where things are emotionally easier. So how do you know it’s time to traverse that bridge? Any time your productivity slumps, the verbally incontinent b**ch in your head has taken the talking stick hostage and you want to break down into tears because they only have decaf left in the tearoom, it’s time. What’s the quickest way to cross that bridge? Exercise. 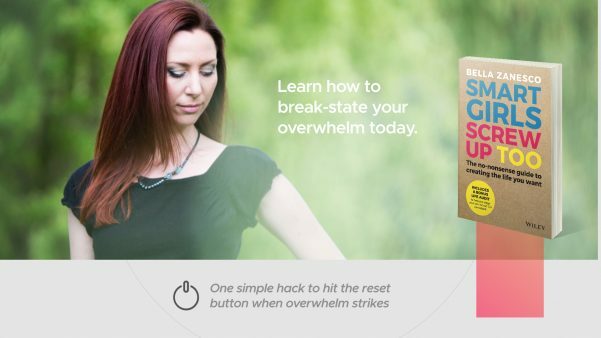 On a scientific level, when we face overwhelm, our bodies inherit stress from our minds and start producing more cortisol and adrenaline. Neither of those are happy chemicals: they leave us angry, stressed and if we are really lucky, fat around the middle, too. The quickest way to dial those chemicals down is to do some sort of physical activity that involves conscious and deep breathing. It’s often the last thing we ‘want’ to do when we’re feeling like that, but after jogging for thirty minutes or going to a yoga class, or even a walk around the block (without your phone), most people feel not only clearer, but happier and more relaxed. What happens when you cross the bridge? Sometimes walking away from a problem is precisely what you need to do in order to solve it. Knowing this, I often set an intention at the beginning of my yoga practice or when I jump on my kiteboard; I ask for guidance as to the first action I should take to move through the problem at hand. And then I focus purely on the exercise and usually, the answer follows.